We all know the history of the magnificent ship the Titanic and its fate. The infamous Titanic which was a passenger ship struck an ice berg thus destroying part of the ship and because there were less lifeboats, most of the passengers aboard the Titanic died. We’ve heard many tales about this ill-fated vessel; some are sorrowful, some romantic and some hopeful – but, sadly we’ve failed to remember some more important people who were aboard the vessel of doom and they were even ignored that cold and nippy night when the ship was sinking. 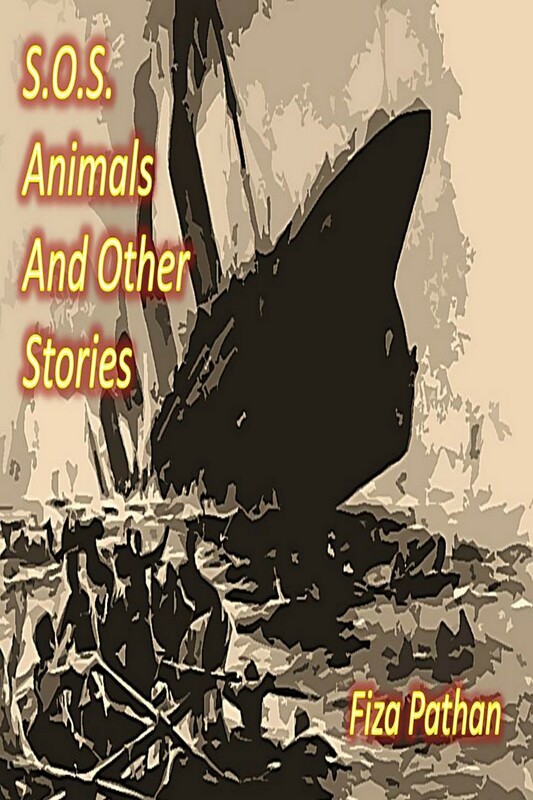 They were the animals of the vessel. There were dogs, cats, parrots, geese (to be cooked), rabbits and little canaries and they were all forgotten that night. As the water levels increased the people got frantic and started to push themselves forcibly into the lifeboats — but, the animals were abandoned. Alone in one of the now dark cabins all the animals clustered together for warmth and strength from the bitter cold — they already knew that they were being left to die. A mother cat licked her brown kittens in melancholy, while a little green parrot snorted out a call for his master. A goose sneezed quietly after a spell of tears and a Great Dane whimpered like a puppy for his trainer. Then one of the older dogs had an idea – animals always came after humans and that was destiny, but, maybe, they would take pity on the children of the animals and at least save them. So, with a lot of hope, the mother cat carried her two kittens while the great Dane carried her Dalmatian puppy by the collar, a mother bull dog carried her new born in her basket while a canary tugged a single egg and all of them headed up deck towards the humans rushing into the lifeboats. The animals tried their very best to plead with the passengers to save their little ones but the humans were not interested. The mother cat licked a young man’s palm for mercy but the man pushed her away and the Great Dane dropped the puppy Dalmatian into one of the older human’s lap but the human almost swung the puppy overboard, the bull dog whimpered and cried many a tear but no one paid heed to his little basket and in the hustle the poor mother canary lost one wing and was bleeding profusely over her little yellow egg. They all returned sorrowfully to the cabin and a matron goose tended to the canary’s broken wing. Now, they had lost all hope, they adjusted themselves to the fact that they would now sink into the cold waters of the merciless Atlantic and drown to their death. They prayed together to ask God to watch over them and the vicar’s tabby cat even sang a hymn. But, suddenly one of the more perky parrots with a red head and a multitude of colourful feathers had a great idea. “Friends!” he exclaimed, “We have nothing to fear for we shall be rescued.” “How?” asked the vicar’s tabby cat in a surprised tone. “You see,” started the parrot, “we have been living with humans for so long that we have started to think like them. Their thoughts may go beyond the horizon my friends —- but, not their fate,” and as he uttered those words he flew out of the cabin motioning the animals to follow him on deck. “Maybe not human ships – but, Sea Gulls,” and as the parrot uttered those words a whole group of sea gulls flew overhead of the sinking Titanic. Seeing this other animals too sent out their own S.O.S.’s into the air and immediately a number of animals appeared — all to help them. There were sea gulls, dolphins, sharks and flying fish. The gulls immediately commanded the birds of the Titanic to fly up – brave the strong wind and follow them. The wounded canary remained on the Great Dane’s back, but, her egg was carried to land by a male sea gull. A herd of sharks then very tactfully got hold of a long floating rope and with the help of some seagulls tied it to a large broken block of wood and told the cats to jump onto it. When this was done the sharks rode the cats to safety and one kindly shark even caught small shrimp for the mother cat’s brown kittens who were crying for food. The dolphins on the other hand made a dive towards land where an abandoned life boat lay and swiftly dragged it back to the ship and got the dogs onto it. The flying fish also helped the dolphins to pull the life boat and when the dolphins were tired they took over. At last all the animals were safe and on land with the rescued humans. They thanked their rescuers and the red haired parrot with tears of gratitude. Till this day no one ceases to speak of the lack of human resources — but, no one dares talk about the abundance of the abandoned animals that had nothing to fear — for, they were not human. VALUE: Look beyond what the world makes you see….then will an answer be to all the earth’s mysteries. The post is unique.You have not only added a dimension to the harrowing Titanic disaster but also shown how we tend to be human without being humane.